Below is a paragraph everyone should read. It will seem quite familiar, if slightly out of true, as if from a half forgotten newspaper article. It is in fact from a 35 year old book. Even so, to grasp the full depth of the nightmare that is Trump you need to read it. This is from David Halberstam’s book “The Best and the Brightest”. He is writing about Senator Joe McCarthy. 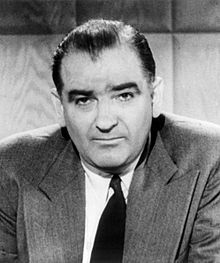 McCarthy led the notorious campaign against alleged communist traitors in The United States at the beginning of the fifties. The populist poison he fomented is as virulent today as it was then. Indeed it is the same poison. The vicious manipulation of fear and hatred practised by McCarthy then and by Trump today share a lineage. The witchfinder general of McCarthy’s assault on reason was a young lawyer named Roy Cohn. When McCarthy’s campaign imploded from its surfeit of excess the young lawyer withdrew to New York. 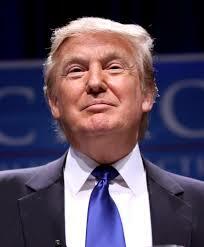 There, in the seventies he became a friend and mentor to rising real estate mogul Donald Trump. Cohn was both gay and homophobic – an unusual combination. He had a clear philosophy: always deny, never settle, always countersue. As we see, it has been fully absorbed by his apprentice. Cohn died of AIDS in 1986. His place as a Trump guru has been taken by Stephen Bannon, now the chief political strategist in the White House. Bannon is reputed to be the intellectual driving force, such as there is, of the Trump Administration. Journalists have taken to reporting the books he reads. Among them is Halberstam’s “The Best and the Brightest”; which is how I came to be re-reading it and so discovered the paragraph above. A New York Times journalist spotted him reading it at an airport. “I’m having everyone in the transition read it” said Bannon. Ironically, the book is an 800 page treatise on why fervour and confidence is no substitute for expertise for those in high office. The Trump we see is the one we are going to get for the next four years. The American people have played a monumental joke on their own history by reincarnating Joe McCarthy as President. Trump will not change. McCarthyism is written into the DNA of his Administration. But like his doppelganger he will fail, drowned by his own excesses. However, if we permit it, his failure will leave an indelible stain on the world. He has declared a war on reason. It is a war that could last well beyond his years in the White House. Churchill believed that in war “truth must wear a bodyguard of lies”. To win this war on reason we must build a wall of truth, a bodyguard of facts, to contain the toxic vomit of doubt and confusion, nacht und nebel, which is Trump’s preferred weapon. We can start by being direct about the things he says that are not true. They are deliberate, witting, attempts to divide and mislead. Editors and politicians, priests, professors and the rest of us should not be squeamish about calling them what they are: lies. A war on reason is a war on democracy. It is not one the environment and those who speak for it can afford to lose.